"James is a principal consultant for Context Information Security in the UK, with a keen focus on novel security research. 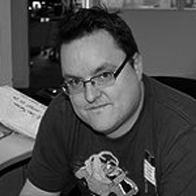 He has been involved with computer hardware and software security for almost 10 years with a skill set which covers the bread and butter of the security industry such as application testing, through to more bespoke product assessment, vulnerability analysis and exploitation. He has spoken at a number of security conferences in the past, on a range of different topics such as Sony Playstation Portable hacking at Chaos Computer Congress, WebGL exploitation at Ruxcon and Citrix network exploitation at Blackhat Europe. He is also the developer of CANAPE networking tool presented at that conference."